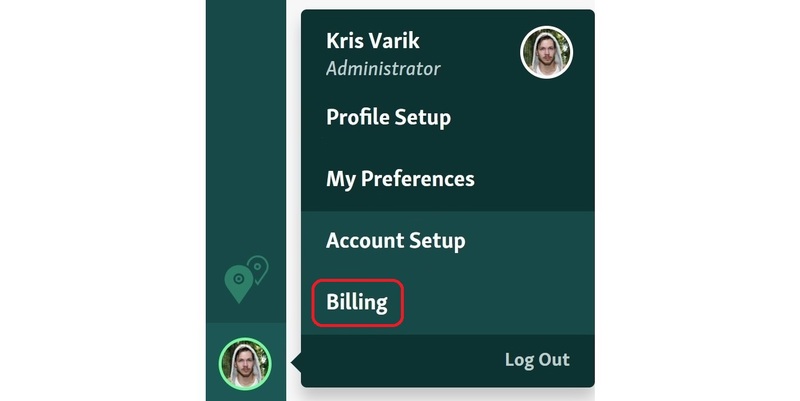 You can change or update the credit card details on the billing page. Once on the billing page, click Add Card. After a new card has been added successfully, you will be able to delete the outdated one. NB! Only Administrator and Owner users have access. Receipt will be sent to account owner automatically after the renewal. 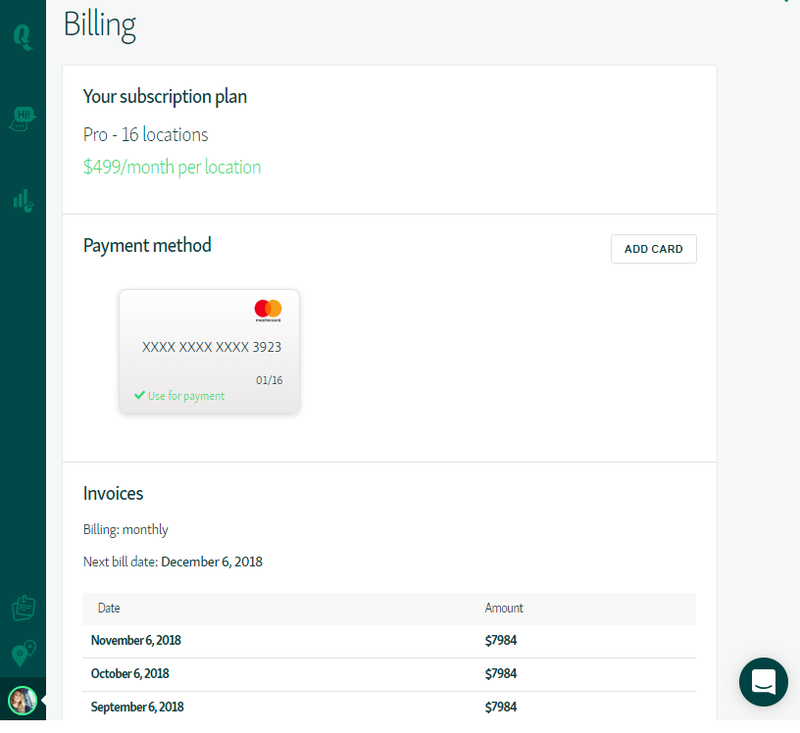 You can also view the history of payments under on the billing page.